1) Browse to the document library/list of your Sharepoint Site/Subsite where the Nintex workflow is present. 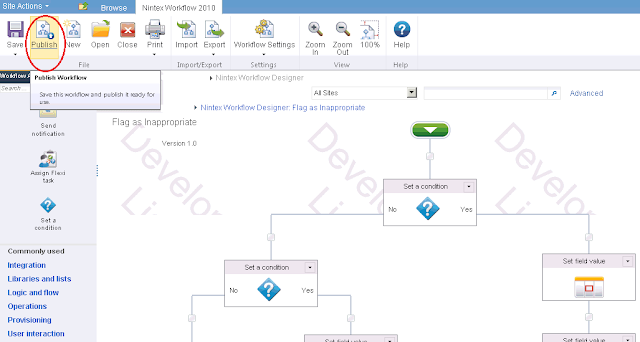 4) Select the appropriate workflow from the Unpublished Workflows list. 5) This takes you to the workflow design page. 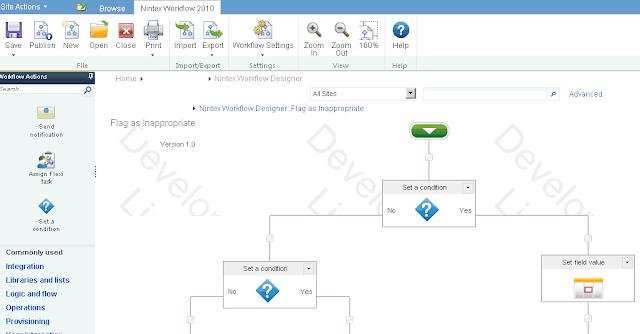 6) On the Nintex Workflow 2010 ribbon, there is an option to publish. 7) Select the Publish Workflow option and the Nintex workflow is published to the document library/list.